Since we moved into our home 8 years ago, we have changed pretty much everything on the outside of our house. We rebuilt the deck, re-painted the entry doors, changed the color of the shutters, and updated the landscaping. The only thing left was repainting the exterior of the house. The paint on the siding was in pretty good shape, with the exception of a few spots, but my husband hated the color. It was a boring tan that blended in with the roof and brick. Since we recently finished our major basement reno, we had a couple of free weekends to tackle this project. We have not painted an area this large before, so we did quite a bit of research online before we started. 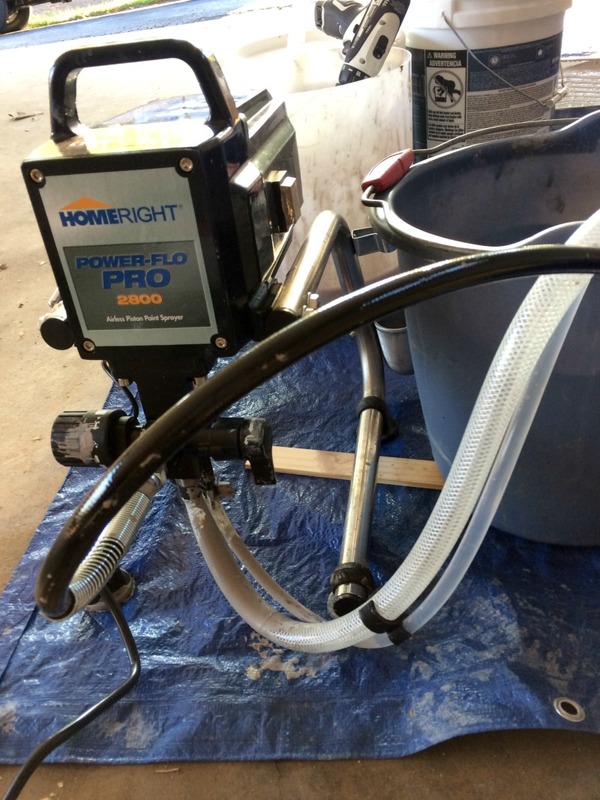 My friends at HomeRight sent us the Power-Flo Pro 2800 airless sprayer to help make the process a little easier and if you stick around to the end, you will have a chance to enter to win one! Decide on a paint color. 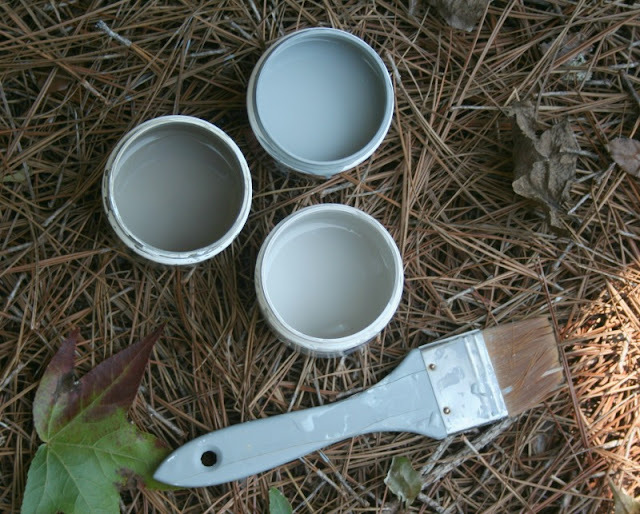 Buy several sample sizes of the paint you are considering and paint swatches in several spots on your house. The paint looks different depending on the lighting and when it is close to other colors. 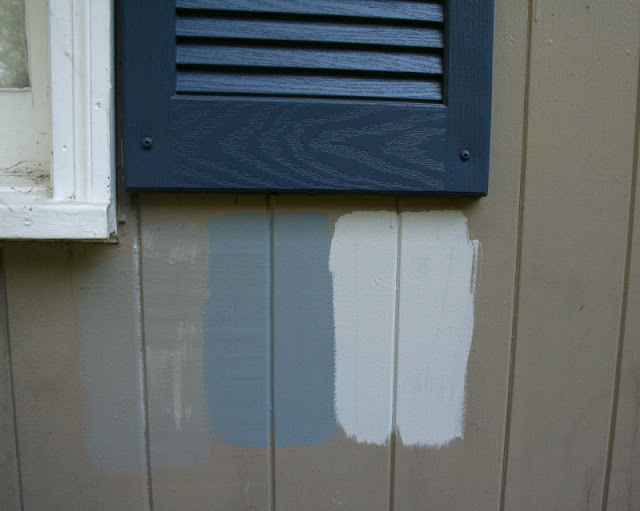 The original shade of gray I was leaning toward looked great by itself, but when I painted it next to the navy shutters, it had too much of a blue hue. Another lighter gray looked almost white next to the white window trim. It may take a few swatches to find the perfect shade. Cut back bushes and trees from the house. We keep the bushes trimmed, but they were in need of a good thinning out, so we cut them way back in order to get to the side of the house. Clean the exterior using a House and Siding cleaner for a pressure washer. We used this one by Zep, but they also make ones that you can use with your garden hose if you do not have a pressure washer. 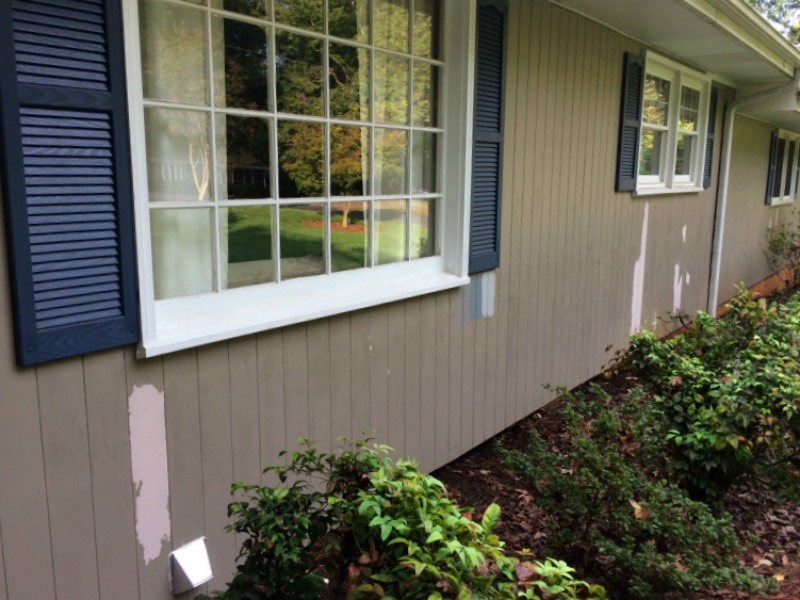 Scrape any loose and flaking paint off the house and window trim and sand if needed to have a smooth surface. Replace any rotten wood. The piece of wood trim on the end of the carport was badly damaged from the weather, so we opted to replace it. 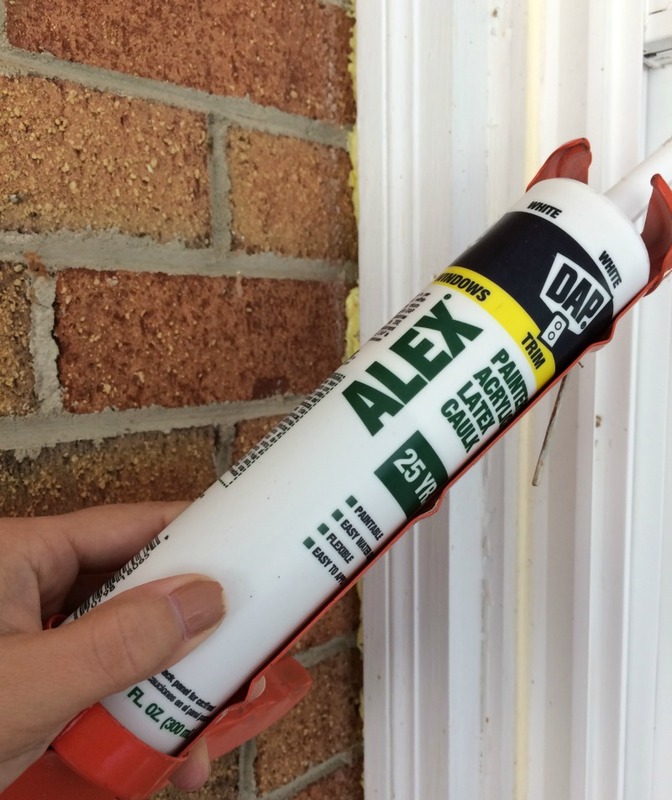 Remove cracked caulk from the windows, using a scraper tool and re-caulk if needed. Cover areas that you do not want to paint, such as the windows, doors, and soffits. We used the ScotchBlue Pre-taped painter's plastic to save time and effort. Cover the floor/ground with a drop cloth or tarp to contain the paint spills. Honestly, I think all the prep work was harder than the actual painting of the house and trim. Now let's get on to the fun part...the painting! I am not going to give you a tutorial on how to use the sprayer, because we actually learned from several videos on the HomeRight blog like this one from H20 Bungalow, so I highly recommend checking this one out! She does a much better job of walking you through the process than I could! 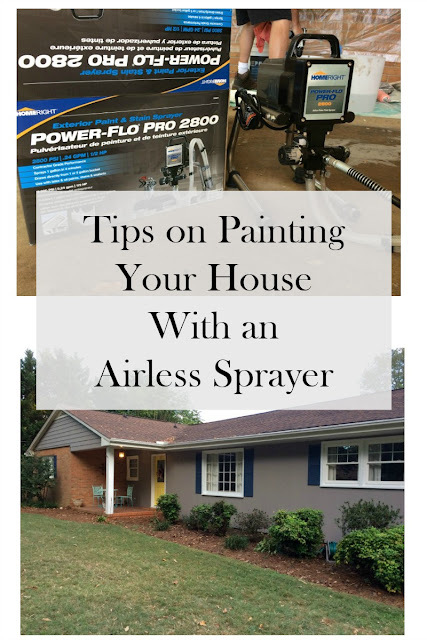 Use the Power-Flo Pro 2800 airless sprayer for the main part of the house. Touch up any areas that were missed along with the trim, using a brush. 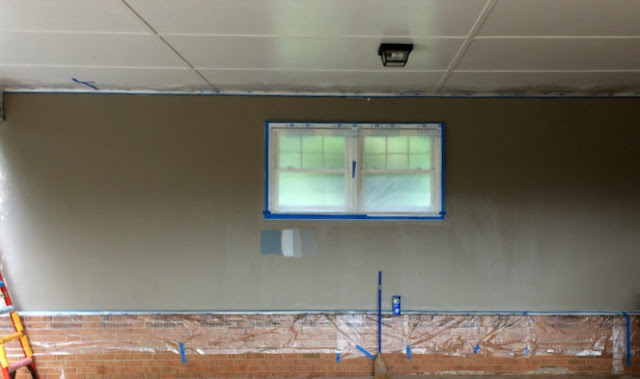 In addition to the window and door trim, we had vinyl siding above the porch. Since it required an extension ladder to reach, we opted to not use the sprayer. Instead, I rolled the paint onto the panels, then my hubby went back over with a large paintbrush to get in all the grooves. 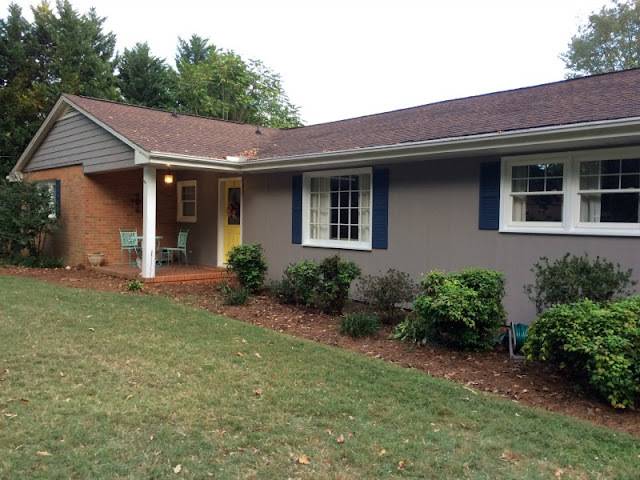 We used Behr Premium Plus Ultra Exterior Paint Plus Primer in Satin. It covered so well, that we ended up on doing one coat, which was good since we used most of the 5-gallon bucket! Make sure to remove the painters tape before the paint is completely dry to avoid any sticking. It is so nice to drive up to our house and see wood and vinyl siding that matches! 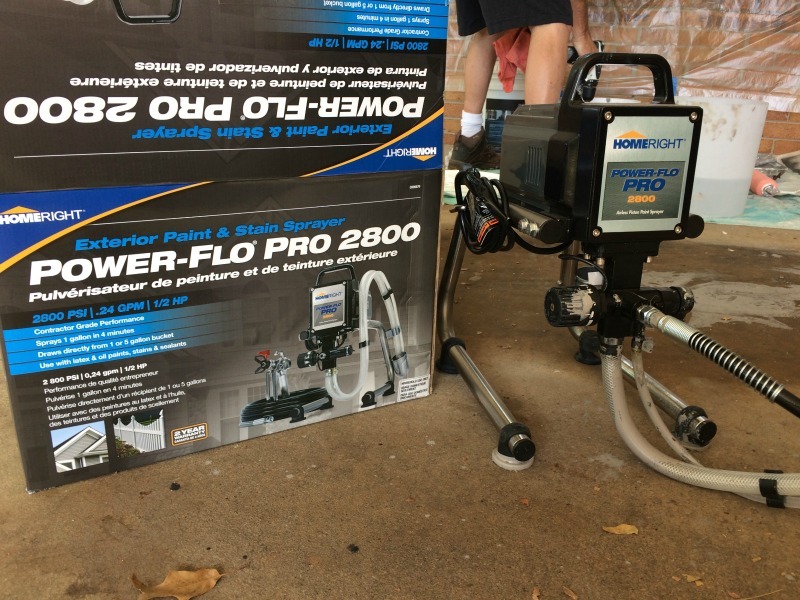 Here's your chance to enter to win your own HomeRight Power-Flo Pro 2800 airless sprayer! Disclosure: The product in the post was provided to me by HomeRight, but all thoughts are 100% my own. You really take on some projects that I would be intimidated by! You rock! Your home looks great! We have been putting this one off for a couple of years because it was such a big project, but overall, it was not too bad and ow we should not have to do it again for several years! Our home is brick so fortunately that withstands weathering. However, our faschia, soffits, and eaves need paint every seven to ten years. I would use this for painting the inside of two houses! My mom is moving into a new house and the walls need to be completely repainted. Also after she moves put of her old house Ill be repainting the rooms for her before she sells. This would be a sanity and time saver for me! That is a huge job! Good luck! We are going to paint the inside of our house so this would make it so much easier and nicer. We are also looking at painting the outside shed again and our porch. So this would come in very handy. I just had a garage built and this would be perfect to paint it. I'd like to paint our walls with it. We have repainted most of the rooms in our home but still have a bathroom, our bedroom and our sons room. I would love to have this sprayer, it would go so much quicker than the other rooms. It would make it go faster! Good luck! I have to do window trim on this 160 year old home I bought and enjoyed getting your tips. I have lots of wood that will need to be replaced and I will follow your suggestions with getting samples to try for color. I would use this paint sprayer on my Adirondack chairs. Oh that is a great idea! I will have to use it when I repaint mine! My house needs to be painted but I don't want to pay someone to do it and it would be a ridiculously hard job without a sprayer. I would use the sprayer for my kitchen! It's in desperate need of a paint job. It still it just the sheet rock. I would use this to paint our basement. Our whole house needs a new paint job. It was built in 1920 and hasnt been painted since! We just bought it and we are in dire need to paint it! We are looking at buying a house so of course we will need this :)! Thanks for the chance what a cool giveaway! BTW love the new paint colors on your house! I'd love to use this in the spring to paint our deck! And in the meantime, try it out in our basement game room! I would love this to paint our deck!! We are re-doing an older home, so lots and lots of projects large and small. The first thing that comes to might for this awesome sprayer is painting our basement--we don't plan to do a complete "finished" space, but want to make a great working pantry and work space for refinishing furniture. I would use it to paint the outside walls of our back patio which have not been painted in almost 24 years. I need to have my garage painted! It's really starting to look worse and worse! My husband needs to do some touch up painting to our house, and this would make it so much easier! I would love to use it in our garage. I would use it to repaint our kitchen cabinets and to spray all our door with! I would give it to my son for Christmas. He would use it to make extra money. I would love to paint my front porch and back deck. Just hate to think about all that painting! This would be perfect. I would use this paint sprayer to paint the house. I want to update our oak kitchen cabinets with a light gray color paint. my 12 year old and I do a lot of various crafts with pallets. This would be amazing to have to speed those projects up. I would use it to paint our barn. 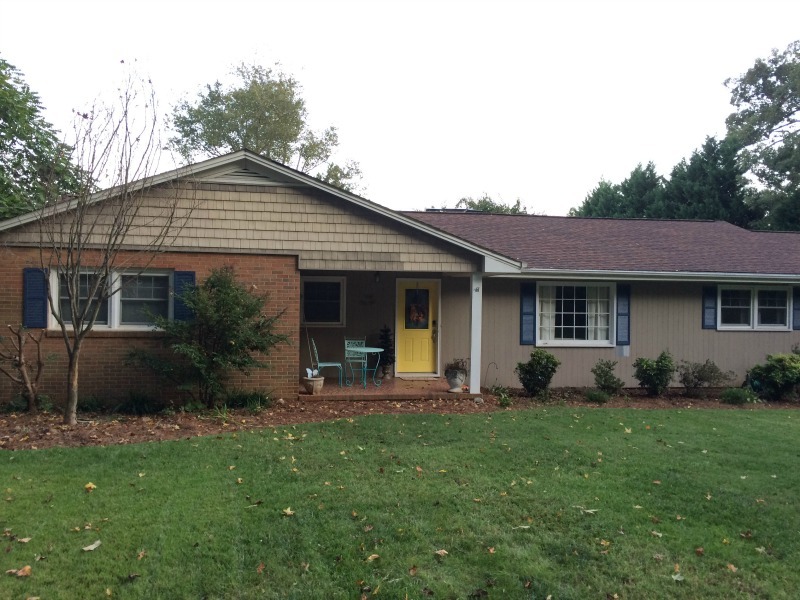 Paint the porches and garage doors. My fiance' is a painter and my master bath has been in shambles for 8 months. I want to do it myself! I would use the sprayer on our deck. I would practice on our shed first. Great practice project! Then I'd go for the porch. I would use it for my bedroom and kitchen. My husband would paint our storage building and all the wood trim on our house. we have been here for 23 years and we really need a updated paint job so the house and shed and pump house would all get it. I would use this to redo our deck! Thanks for the chance!! I would use it first to paint the garage. We've lived here for years and it still just has the white spots covering the nails. We need this for a few projects! Main one is repainting the fence! We are buying a house and I will be doing lots of projects that need painting including the house I want to change the color. This would be awesome! !